02/11/2005 - Conditions are Great - Get out there and Ice Fish! If you want to catch a trophy fish this is the time to be out there. Game fish are at thier fattest, feeding heavily before the upcoming spawn. 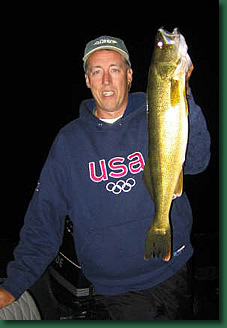 Huge Walleye and Northern Pike are caught this time of year. This is no time to pack up the tip-ups! The season is open for most gamefish until March 1st. Please visit the Guides Log!